This Sunday night, Terrell questions the one and only Question Mark of Question Mark & The Mysterians. That's Sunday, March 31 on Terrell's Sound World, KSFR, 101.1 FM www.ksfr.org. The interview will start at 10:15 pm MDT/12 midnight. 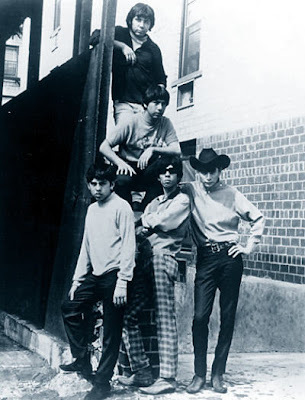 By the way, Terrell's Sound World kicks off the latest Big Enchilada podcast with a live song by Question Mark & The Mysterians. Until then, enjoy a magical moment from the show filmed in New York in 2010, where the band was joined by Ronnie Spector.